Did you know that tires are actually the largest contributor to the operating costs of your fleet? When you add-on tire monitoring system with a GoFleet GPS fleet tracking system, you will have reliable, accurate and real-time tire pressure monitoring on your vehicles. This system also monitors your tire temperatures. When your fleet has properly inflated tires, you will save on fuel costs and maintenance. It will also increases your vehicles’ safety. How Does Tire Monitoring Work? Valor uses a patented TPMS solution to monitor the air pressure and air temperature of your tires in real-time using robust sensors that are installed internally. If you use trucks and trailers, they are paired automatically and wirelessly using an innovative drop & hook solution. This will save you both money and time as it gets your trucks back on the road safely. Real-Time Monitoring: Every 4 seconds the robust sensors measure the temperature and tire pressure on your vehicles. Alerts: Management is alerted automatically by SMS or email when there are any issues with tire pressure, leakage, or high temperatures. Automatic Drop & Hook: This was designed for the trucking industry specifically to overcome some of the tire monitoring challenges. Your trucks and trailers are paired automatically and wirelessly. Fleet System Integration: The tire monitoring system is seamlessly integrated with GoFleet’s Geotab G06 GPS tracking system. This enables mangers to proactively manage their fleet’s tires using the GoFleet MyGeotab software. Improved Productivity: There is no need for monitoring the tire pressure manually. You will receive automatic updates alerting you of potentially dangerous and costly tire issues. Extended Tire Life: Real-time tire monitoring will ensure all of your tires are inflated properly, which will extend the life of the tires and increase safety. 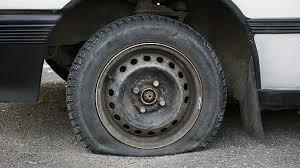 Savings: When your tires are inflated properly, you will reduce your fuel costs and maintenance costs. Contact GoFleet today to find out more information about adding tire monitoring to your GPS fleet tracking system.